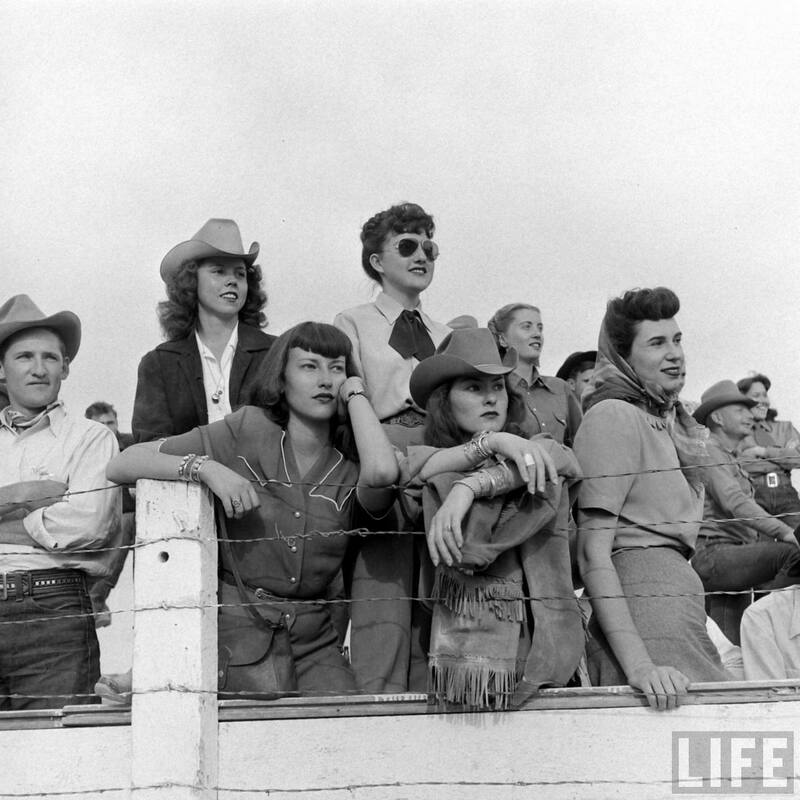 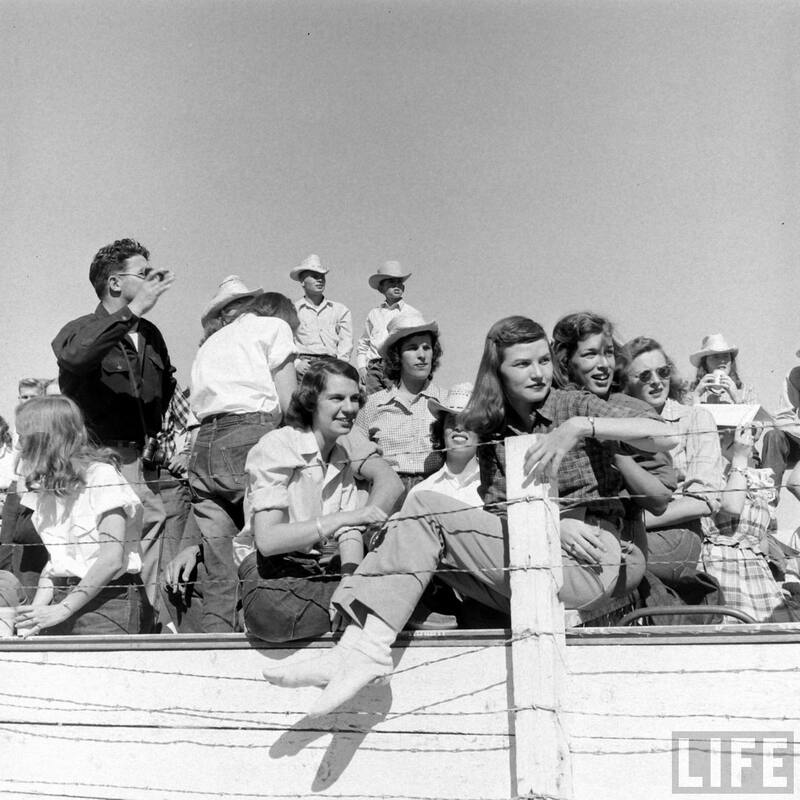 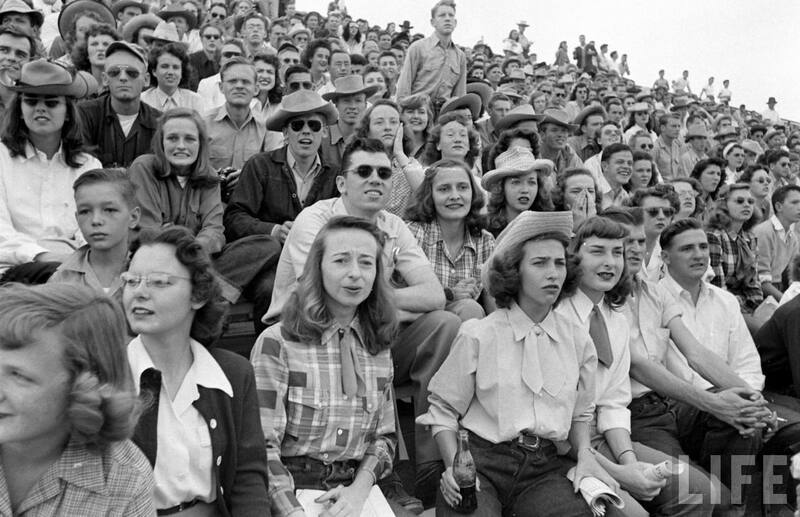 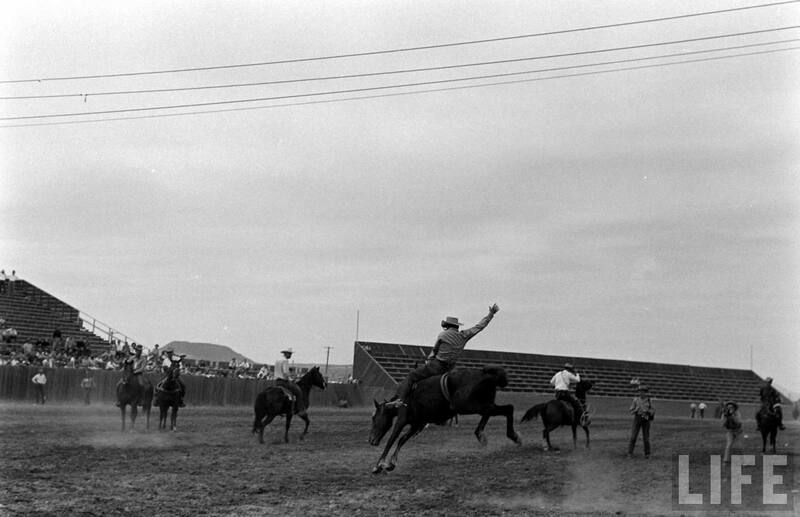 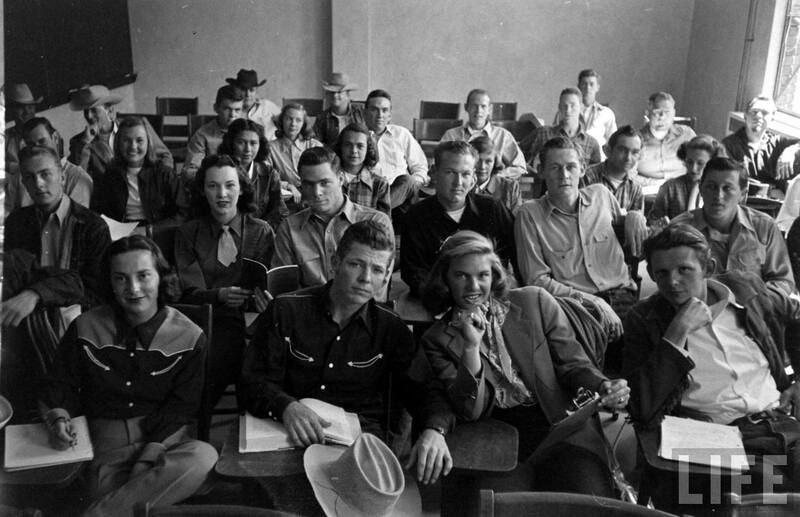 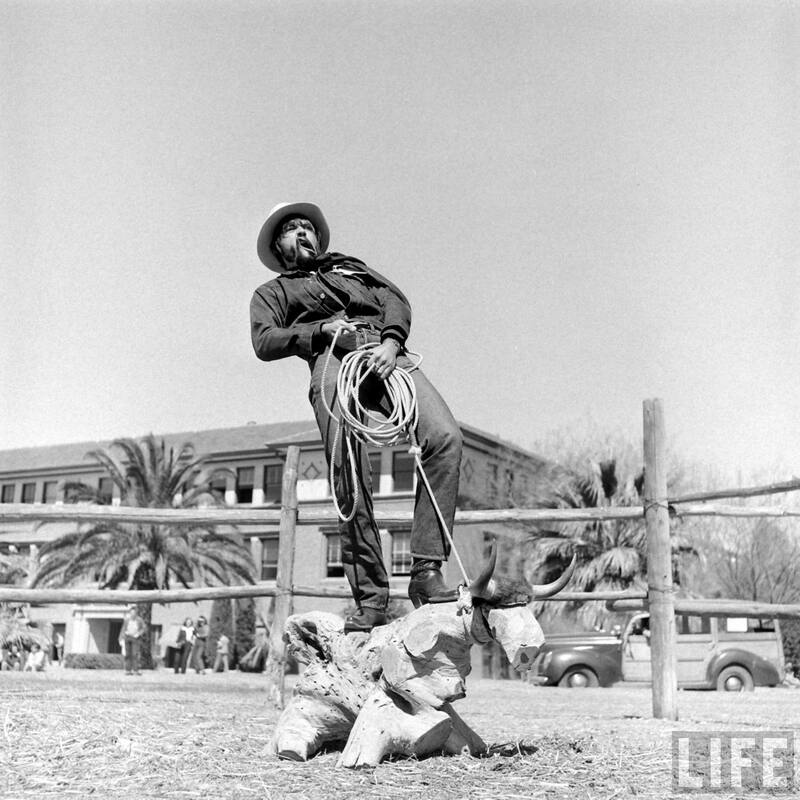 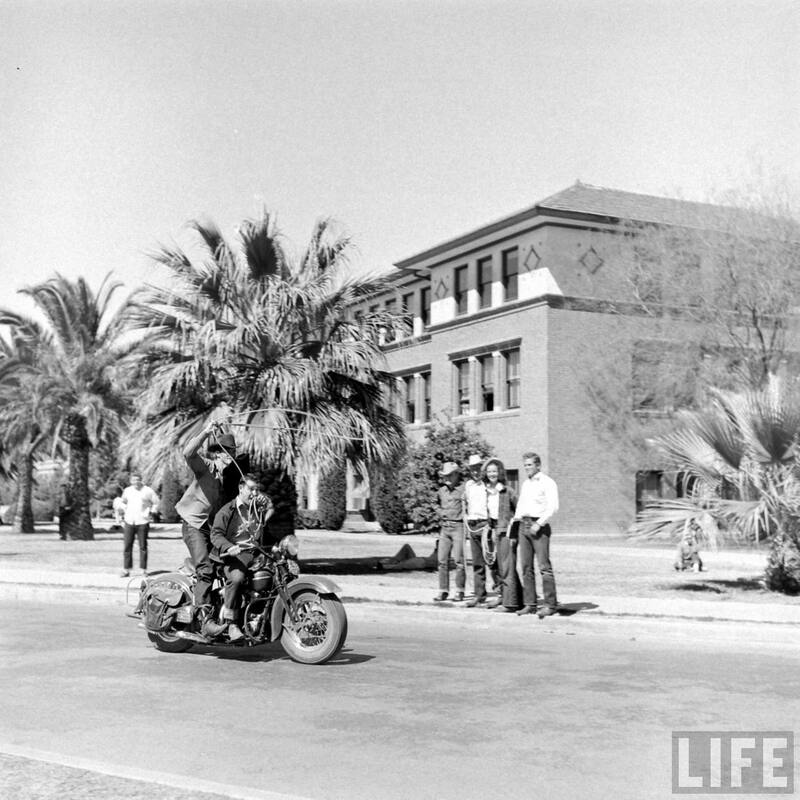 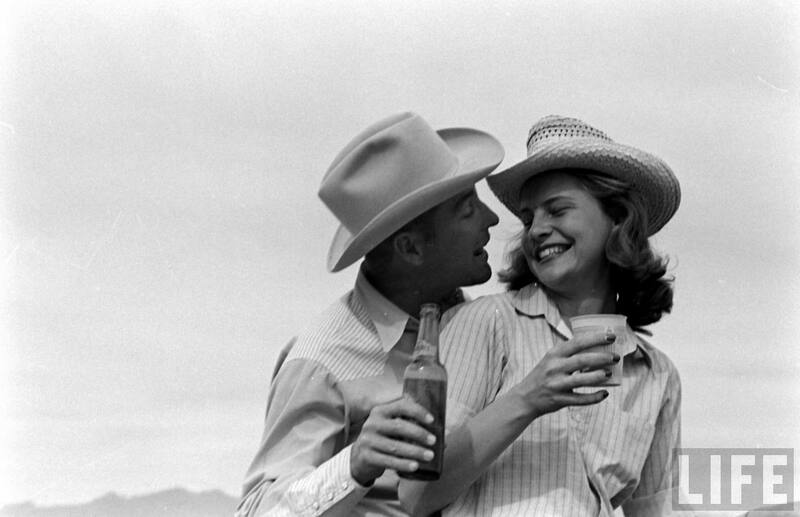 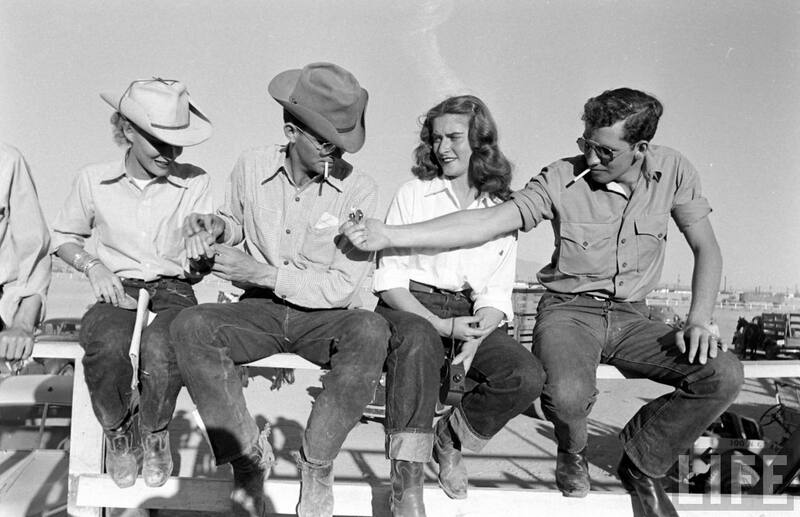 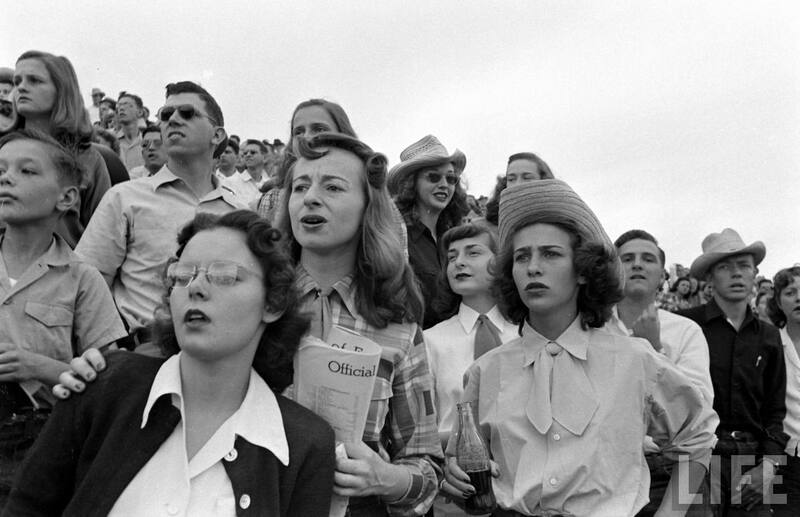 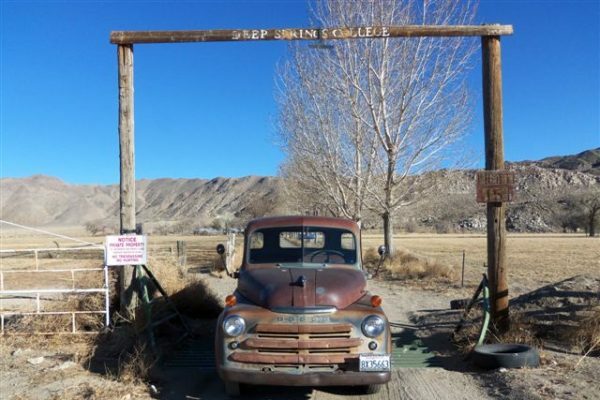 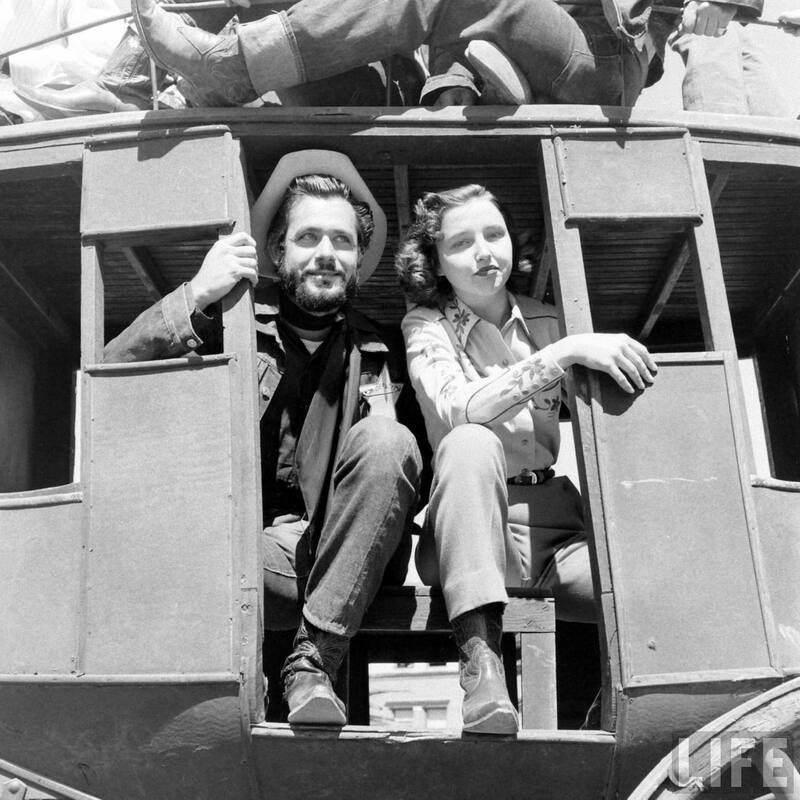 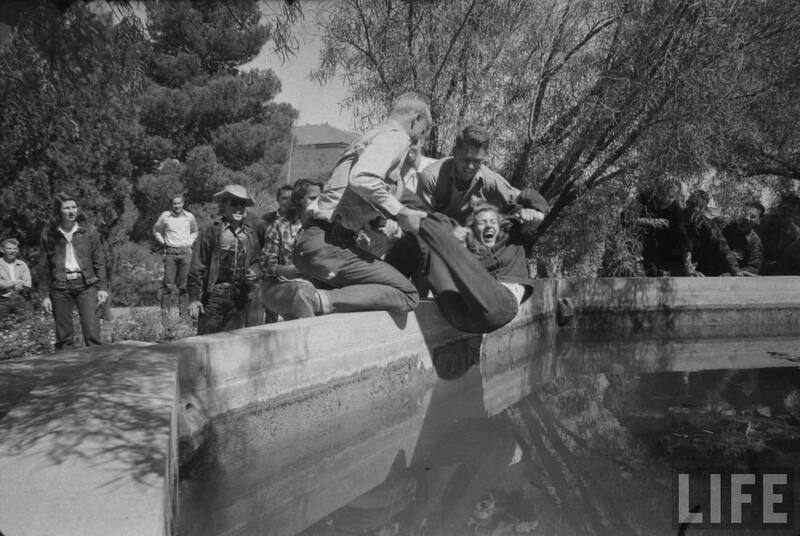 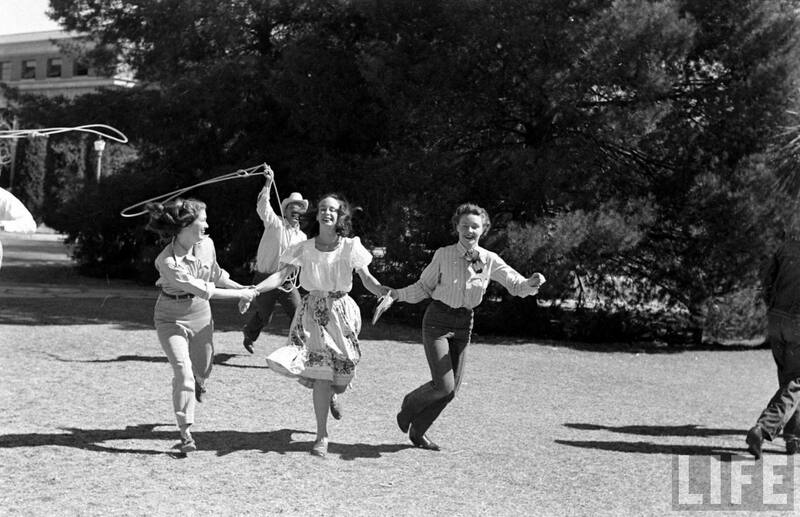 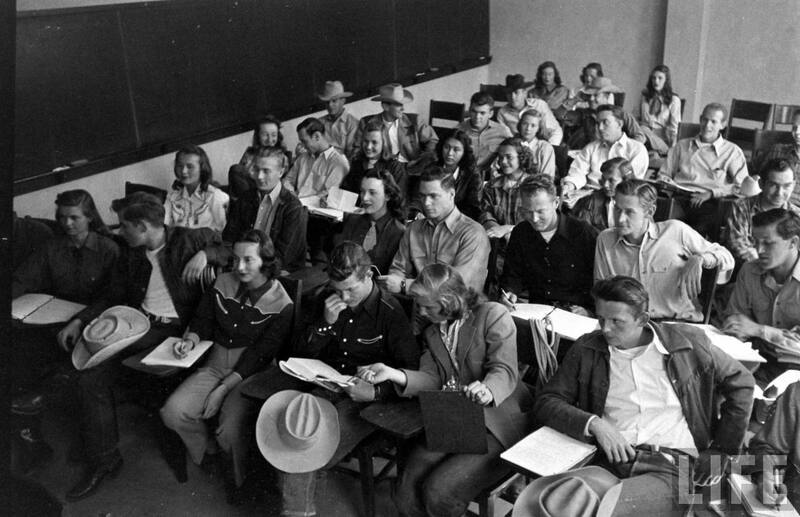 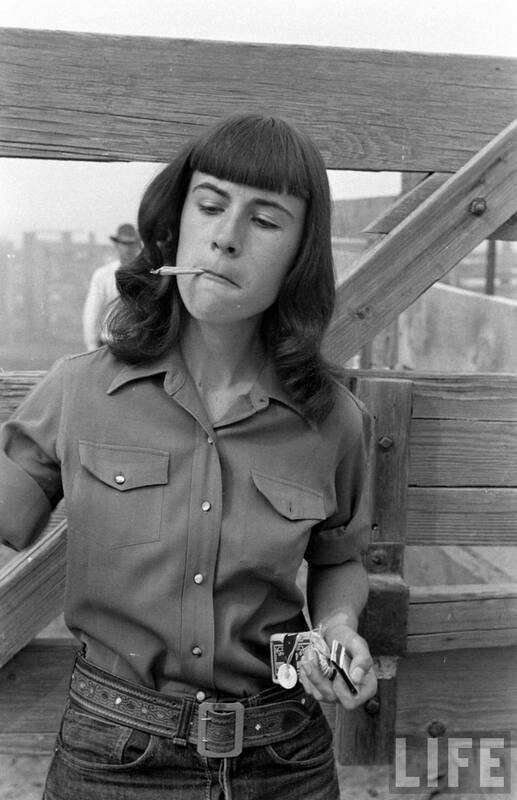 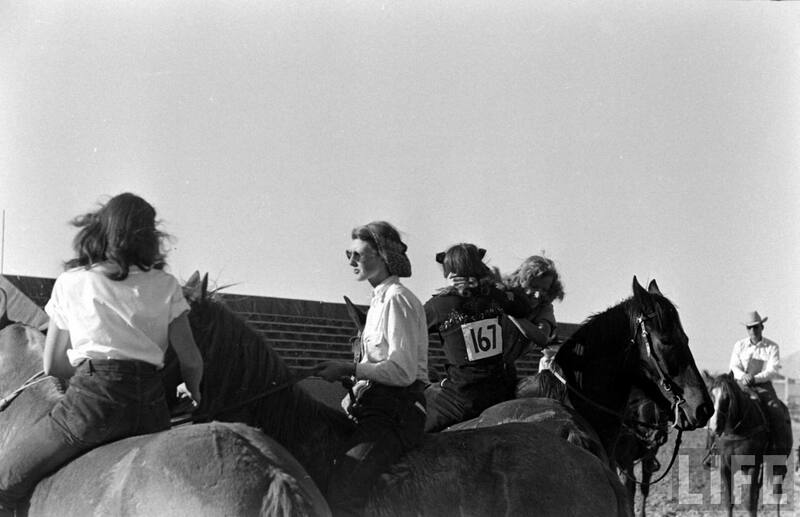 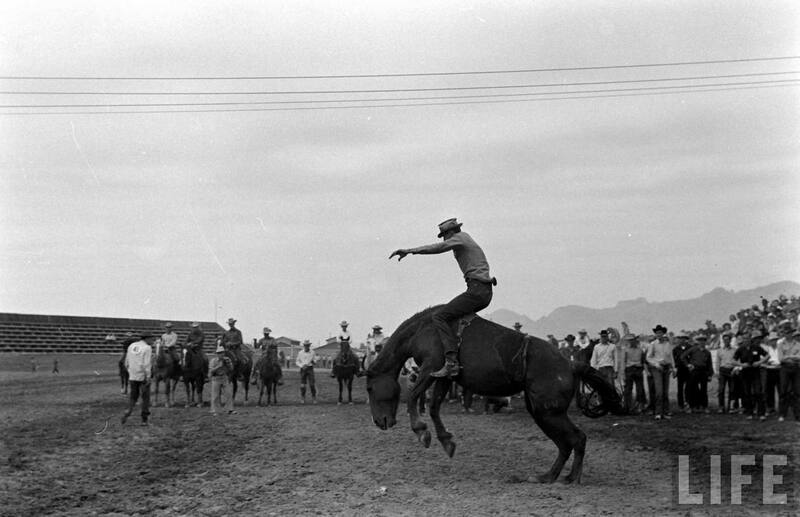 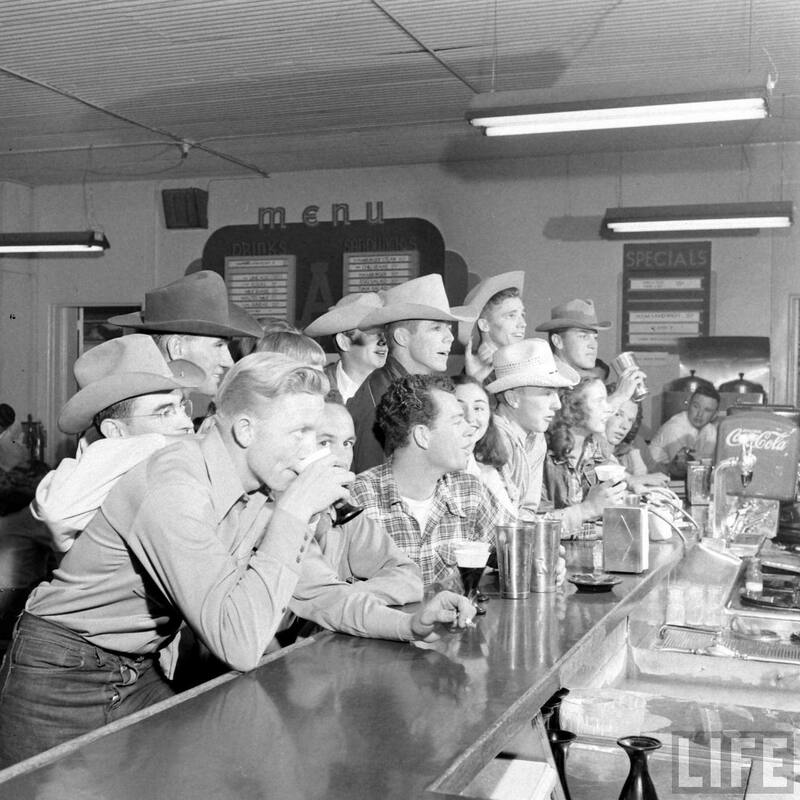 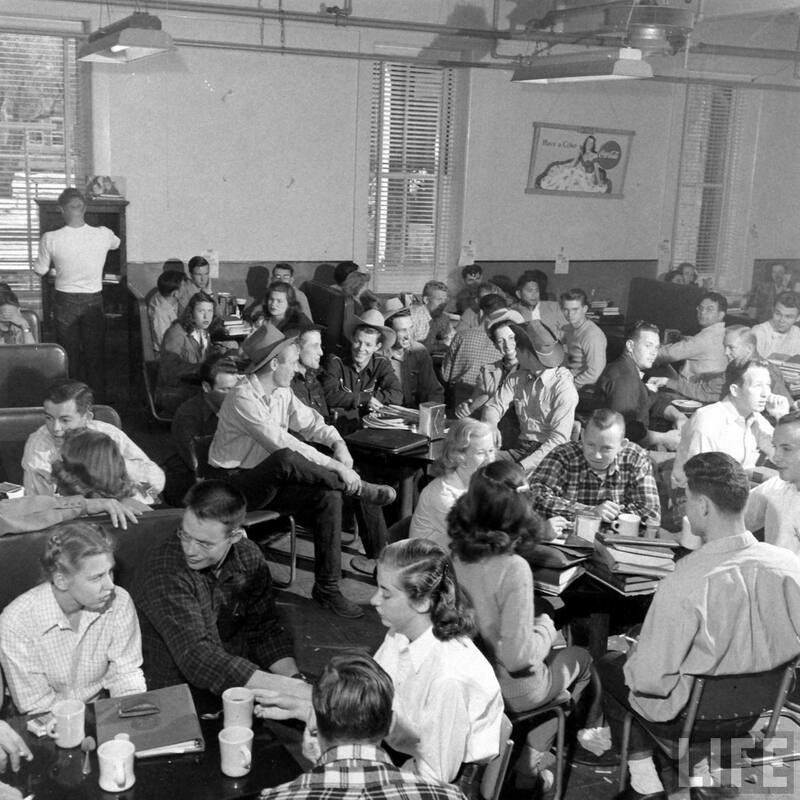 In 1947, for the eight annual intercollegiate rodeo, Life photographer Peter Stackpole paid a visit to the cowboy (and cowgirl) university for the event of the year. 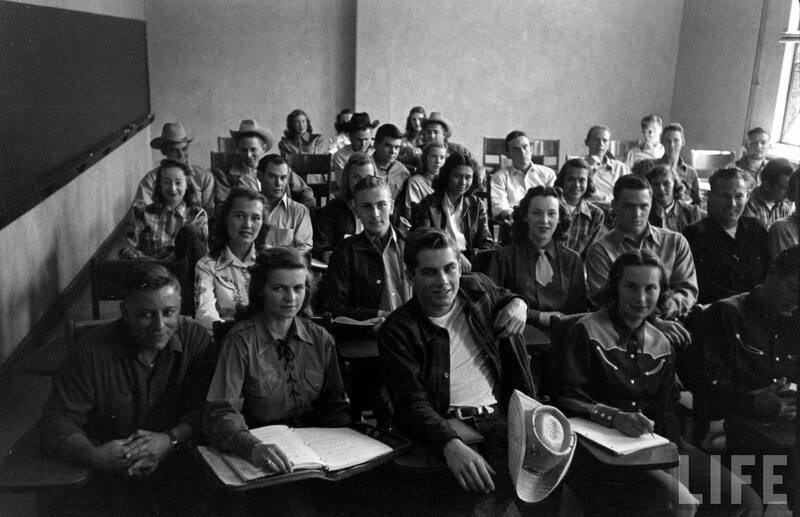 I wonder if they came to class dressed like this everyday? 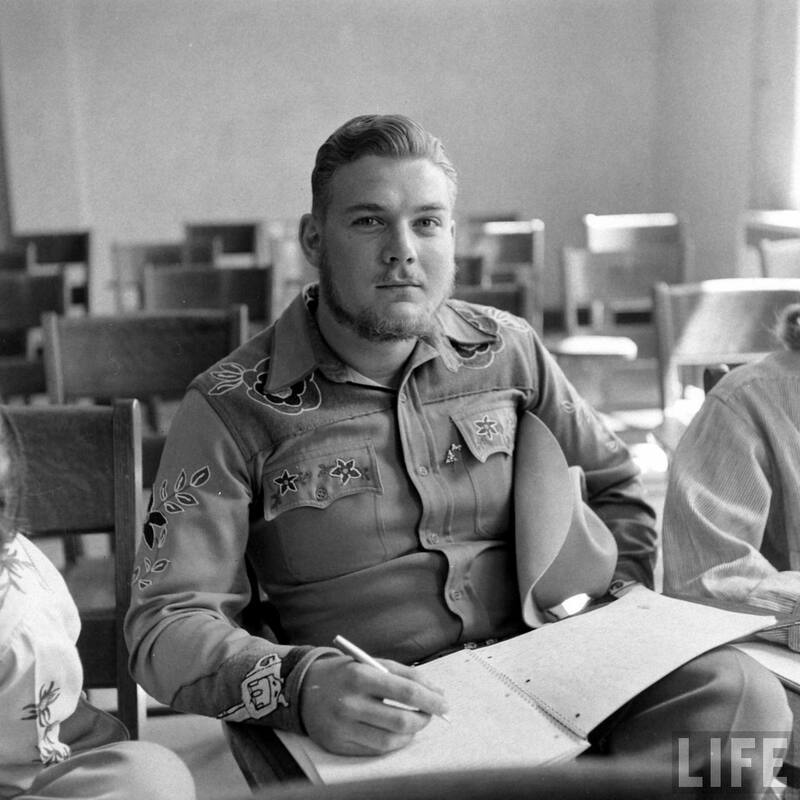 ↑ And is that a pistol embroidered into the sleeve of his shirt? 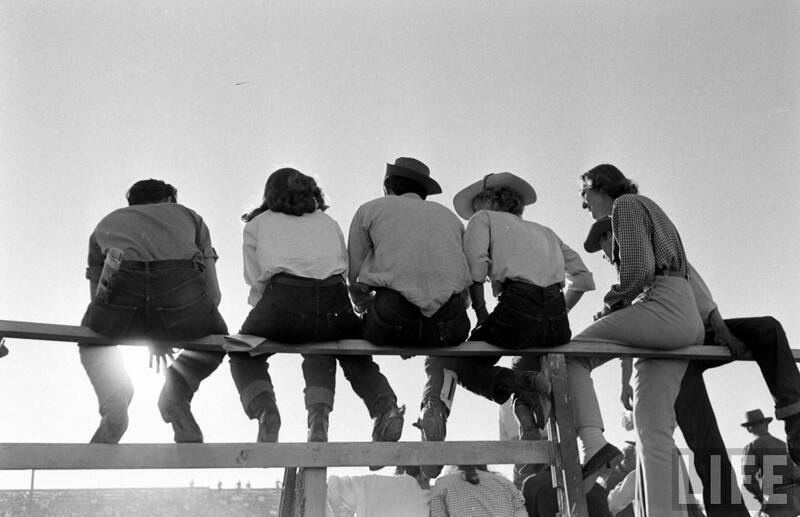 But also, they were pretty good at sitting around on rodeo fences looking like an old-school ad for Marlboro.